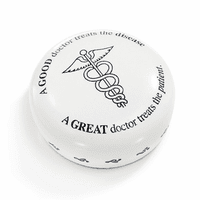 FEATURES/SPECS There is a simple truth in the medical profession, behind every good doctor is a great nurse. Doctors know this to be true, nurses know this to be true and patients know this to be true. 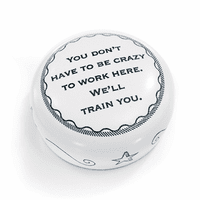 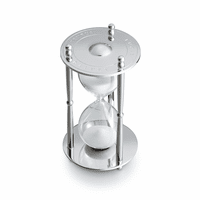 Remind the nurse in your life that you know this is true too with this seven ounce white resin paperweight. 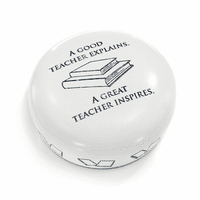 It is emblazoned with these sage words and a fun nursing cap, a fun gift for our heroes in the medical profession ... NURSES. 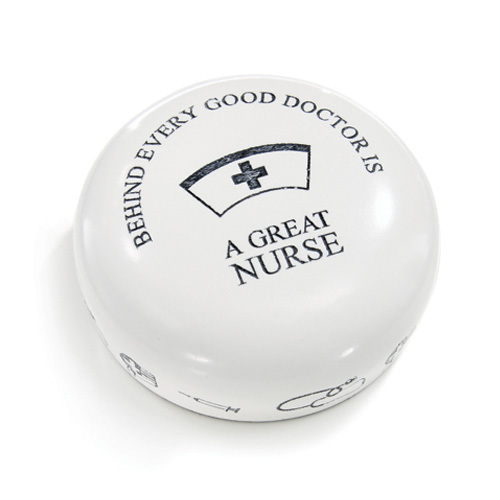 Etched with the quote "Behind Every Good Doctor Is A Great Nurse"